A microscope is an essential part of your lab or factory. Unfortunately over time, wear and tear can affect the performance of your microscope to the point where it seriously undermines your ability to perform your job or it may be outdated or no longer usable. However, these problems need not always require the investment in a new system. An experienced service and repair center should be your first call to understand your options. The proper repair can save you a significant amount and greatly extend the life of your existing microscope. 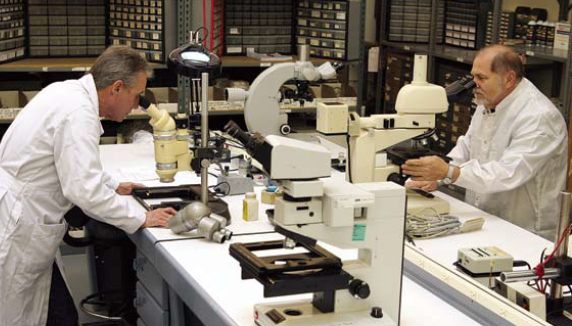 McBain Systems is a leader in microscope repair and service with a dedicated staff of expert repair technicians and a large inventory of replacement parts. McBain’s expertise in advanced microscopy systems started in 1965 and continues to expand to meet the needs of advanced microscopy applications worldwide. And more…..Contact Us for a full list. If you have an advanced microscopy system that is in need of repair, service or upgrade – let the experts at McBain Systems advise you on your options. Why Choose McBain Systems For Microscope Repair and Service?